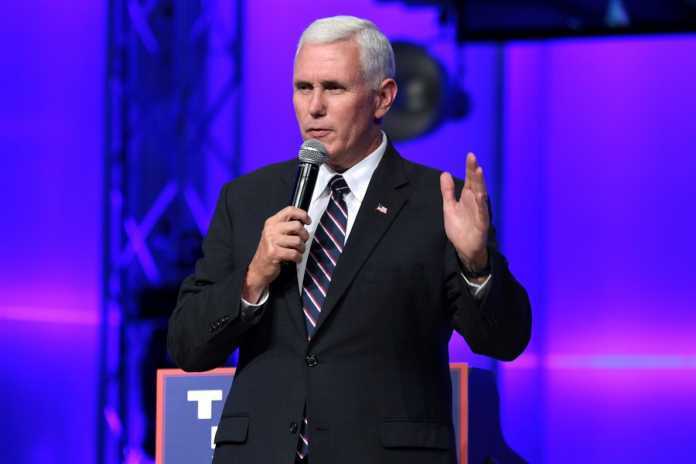 In the midst of growing anxiety regarding the growth of China’s pacific presence, US Vice-President Mike Pence announced that his nation would join both Papua New Guinea and Australia in redeveloping the Manus Island Naval Base. Plans to upgrade the poor condition Lombrum naval base in Papua New Guinea had been announced last month due to the strategic importance of the location overlooking important trade routes. It was said by Defence Minister Christopher Pyne that Australian navy ships would likely use the base as a permanent location. Ahead of the APEC summit, Mr Pence made the announcement that the US would also be joining the redevelopment project. He said that the US would help to “protect the sovereignty and maritime routes of Pacific Island nations”. Mr Pence did not reveal what size contribution the US would make to the project or in what capacity US navy ships would use the base. The announcement has likely not gone over well in China’s government which has accused the US of trying to contain China’s influence in the pacific region. In the disputed South China Sea, US and Chinese navy ships have even come close to open confrontation. Tensions between the US and China were on full display during the APEC conference, which ended without a final communique being agreed upon, leading many to call the conference a failure. The United States accused China of using economic coercion on smaller nations to buy influence in the region, by giving large loans to poor nations where there was doubt they could be paid back. From the perspective of the USA, China is forcing smaller nations into a position of being obligated to appease Chinese interests.